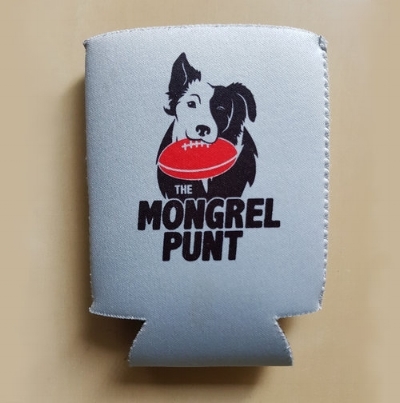 The Mongrel Wrap - Gold Coast v Carlton — The Mongrel Punt Become a Patron! The Gold Coast Suns secured their share of top spot today…. Nah, that doesn’t sound right. Surely not. *checks AFL Website*. Well, the Gold Coast Suns are 3-1, a kick away from being undefeated, at the expense of Carlton, who became the last remaining side to notch a victory this year. A goal from Jack Bowes with just 13 seconds remaining sealing the deal and prompting a flurry of questions to be asked, mostly around the future of Carlton coach, Brendon Bolton. But very few about the futures of the key contributors to the Suns’ upset win, with the Suns’ best contributors on the day all signed to long term deals, rather than the norm of having mentally checked out to their next Melbourne destination. Few, if any, games will be of a worse skill standard than what was witnessed today at Metricon Stadium, but the Suns will be happy to bank the four points. For Carlton, decisions will need to be made, and perhaps made for them by supporters angrily turning their back on a club after a 0-4 start to the season off a pre-season that promised so much. Two Carlton coaches have already been sacked in the club’s history following an upset at Metricon Stadium, could a third be on the way? The Mongrel Wrap attempts to overcome an acquired brain injury from having watched these four quarters of football, and provide a view on the matter. “Pick one young player in the competition to start a franchise around, who would you pick?”, I would legitimately answer with Touk Miller. Carlton have basically started a new team from scratch, and have picked BOTH Cripps and Curnow, and are still ordinary. If the Gold Coast Suns experiment has shown anything, it’s that they seriously underestimated the need for quality leadership in the early days, and I think Miller is as good as a young leader in the competition as any. It’s frustrating when you hear clubs talk up their young players as “doing all the right things” or “ticking a lot of boxes”, as a nice way of saying “They’re not a complete fuckwit, and we’re just glad the footballing ability outweighs the PR nightmare this monster will turn out to be”. Miller not only does the right things, but demands them of his teammates well before he should be expected to. His send off of Tom Lynch last year was the stuff of legend, and potentially, the stuff the foundations of the club can be rebuilt on. There was a moment in the game midway through the second quarter, where no ruckman was available to take a ball-up, and rather than give Levi Casboult a free reign at it, 178cm Miller nominated at the last moment, backed up into an oncoming Casboult and made him earn his hitout. It was a courageous act by Miller, one that signified the team-first mentality he brings. He takes the crap jobs week in week out, you rarely see him skunking out the back for cheap kicks, and his record on the opposition’s guns is as good as anyone’s (just ask Dayne Zorko). Hardest working player on the ground today by a long way. Four losses, four dominant opposition ruckmen performances against Carlton. Can the Blues get Matthew Kreuzer back quick enough? Can he still make a difference? Witts outclassed Matthew Lobbe today at centre clearances, around the grounds, and was undisputedly the most influential big man on the ground. When Lobbe gave a free kick away against Witts at a ball up in the first quarter, it reeked of desperation on Lobbe’s part to keep up, even so early in the game. It set the tone for things to come, as Witts consistently fed the ball down his midfielders’ throats at will throughout the game. Whilst yes, the game winner in the sense that he kicked the winner with 10 secs left, but you could argue that the job he did on Paddy Cripps throughout the game was just as effective. Cripps ended up with 30, largely off the back of a huge second quarter, and managed to bob up and kick two vital goals late. Otherwise, he was kept well in check by the close checking Bowes. The thing that spoke volumes of how highly rated Bowes is by his teammates was how quickly his teammates tried to feed him the footy in clutch moments, even when he wasn’t the best option, but still voted with confidence that this was the guy they wanted the ball with in such a crucial moment. Watch the replay with about 2:20 to go in the last quarter where Holman’s got the footy, streaming forward, has a crisis of confidence, back pedals slightly and treads water to give a handball away at point blank range to Bowes. How he then manages to look like he has all the time in the world to think through the situation, hit up Lukousius with a beautiful pass down the corridor AND dash into the forward line to receive (only for his teammate to give away a free kick for infringement in the contest). That was a desperation play, and there were several others like it from him in that last quarter. I’m a huge fan. I know it’s only round 4, but it would take a decent injury crisis for Matthew Lobbe to play another game at AFL level after today. Injuries have taken their toll, and it was sad to see a once-great ruckman struggling to get off the ground to compete. With Kreuzer and Andrew Phillips available for selection this week (with the much hyped Tom De Koning to return before season’s end), it’s difficult to see him getting another crack. Barely sighted all day, and when he was, repeatedly hacking the ball out of defence to open space/no-one in particular. As much flack as Paddy Dow will get for his decision to move the ball inside to O’Brien in the dying seconds when he had teammates outside unmanned, O’Brien’s poor protection of the ball in the tackle lead to the turn over that allowed Bowes to kick the winner. Was Fiorini’s tackle *that* good, or did O’Brien panic at the prospect of contact? Chris Burgess had a worse game to be fair, virtually unsighted for the duration of the game, but if Levi Casboult had actually accepted a trade to the only other destination in Australia where it’s socially acceptable to handcuff 18 year olds to heavily intoxicated men on a boat, he probably doesn’t get a game. Casboult got smashed in the ruck, and was so non-existent up forward, that the 178cm Michael Gibbons was preferred as a marking target for the majority of the game. Another who in theory should never play at AFL level again, but, that’s the state of Carlton’s list for you. Paddy Cripps’ post-game interview. On one hand, surprised that Fox Footy even attempted to get the interview after such a close game didn’t go there, not much Cripps can say in that situation, and a credit to his professionalism that he took the interview in good spirit. On the other, not the time and place to be smiling and handing out generic clichés like it were a Thursday afternoon pre-match press conference. Your supporters want to see that the team were hurting , gutted, angry, distraught….feeling something? That would have been an even bigger kick in the teeth. Another week where Lachie Plowman gets the team’s most mobile small forward, in Alex Sexton. At least Brendon Bolton had the sense to move Dale Thomas onto him. Plowman then proceeded to do a serviceable job on the resting Gold Coast tall (Burgess and Lukosius). Surely that trick can be removed from the bag – Plowman on the quicker mid sized forwards doesn’t work. Another week where Brendon Bolton’s initial tactical ploy works really well, the opposition coach counters that move, and Bolton hasn’t much of an answer. This week, they made the tactical move to start the back six deeper and keep two stay at home defenders deep in the back 50 rather than licensed to run and create. It acknowledged that the Suns were going to beat them for pace on the rebound, and that they could either continue to bomb it in long in hope, or take high risk shots from outside 50 for low return. And bomb it in they did, with Dale Thomas and Nic Newman claiming several uncontested marks apiece in the first quarter. It looked as though as soon as the Suns changed their forward structure, they’d get back into the game. And about 20 minutes into the first quarter, moved Wright and Sexton from playing high up to a much more deeper role. Sexton took full advantage of a less than accountable Thomas to slot a very early goal of the year contender, and Wright started providing a contest in the air. So instead of pushing Thomas and Newman higher up in return, the Blues continued with their deeper backline, and continually looked lost for run and carry, whilst the Suns at least were now breaking even when they entered their own 50. A frustrating turning point in the game. Was the departure of senior assistant, Neil Craig, who was often credited as the main tactical go-to in the Blues’ coaching box till his retirement at the end of 2017 an understated loss? Or is it a coincidence that the Blues have really slumped in this respect and the Hawks have got inherently better since Cam Bruce jumped ship to IKON Park? Speaking of defections from Waverley to IKON Park, given how often Andrew Russell was credited with the final say in whether Charlie Curnow was fit to play today, you have to wonder what the medical room decision was, and whether the motivation for Russell’s decision was a challenge being laid down to Curnow about playing hurt. Curnow put in his 4th stinker in 5 games this year (inclusive of pre-season), all with asterisks next to them about playing hurt, stemming from his corked calf received in the dying minutes of the JLT Challenge match with Essendon, and now a hyper-extended knee that had a very short recovery time from. Should he have played today? Probably not, but hopefully an interesting stepping stone in Curnow realizing the mental toughness required to play to the level he’s capable of on a consistent basis. A lot was made today of the set up of Carlton’s forward line – 4 tall forwards in Curnow, Casboult, McGovern and McKay mentioned, yet the majority of the inside 50’s went in search of Michael Gibbons. I was more concerned with how often all 4 stayed inside the forward 50 when hard leads were needed to be made up the ground and either provide the bail out kick from defence, or a lead up target up the ground. Was McGovern fit enough to play? It was a justifiable gamble in the sense that his 3 goals in next to no time at all nearly won them the game. But was also barely sighted, especially in the last quarter, where for the second game running, his ticket had been punched. Would the extra runner have been a wise choice, or were the club genuinely concerned about how Lobbe would fare against Witts by himself, and figured Casboult was the conservative choice? Is Pearce Hanley the most forgotten man in the AFL? Two injury prone years have led us to forget how well he can kick a footy out of the back half. Had a quiet day today but his last 5 minutes were incredibly important. Found targets when everyone else was fumbling. Not looking good for Will Setterfield with the tackle that left Wil Powell concussed and out of the game. For mine, two motions and negligent in not allowing Powell capacity to protect himself in the landing probably should result in a week’s suspension. Having said that, the fact that the on-field umpire neglected to pay a free kick might exacerbate the situation. Do the AFL get red-faced by the lack of call on-field and decide to add an extra week to make it crystal clear to the mums potentially jumping their kids onto the soccer ship, that they are very-very-very-serious about this? Speaking of poor umpiring decisions, the mark not paid to Liam Jones, and the in-the-back not paid to Alex Sexton in the final minute of the game were game changing. Matt Nichols, Eleni Glouftis and Nick Foot might be a little nervous to see if they’re getting a posting out to the middle of nowhere next week. A few decisions paid on top of this that provoked astonished “really?” responses from the recipient certainly won’t help their cause either. Jacob Weitering continued his great start to the year today, very much emphasized by a moment midway through the second quarter where he completely misread the flight of the ball in a contest, was first, yet way too early to the drop zone, but still stood his ground and elected to spoil the ball away to advantage. This time last year, I reckon he flies for that one and ends up giving away a free kick. Darcy Moore’s putting in a very good opening showing for AA CHB, but Weitering is stalking him at this point. Jon Ralph made a comparison earlier in the week discussing how Carlton are following a blueprint from NBA title contender, the Philadelphia 76ers, a thinly veiled tank branded as The Process that saw them nab the most dominant center in the league, Joel Embiid, and Australian guard, Ben Simmons with high draft picks to build a team around. Carlton have their dominant physical beast in Cripps, and erratic but exceptionally talented freak in Charlie Curnow. But Philly really made their move when they were able to recruit a seasoned and highly consistent Jimmy Butler onto their roster, also at the expense of another high draft pick in Dario Saric and several seasoned veterans in the process. I’m not sure where Carlton get their Jimmy Butler from this year. The only player that would walk into this team and be comfortably the third best player in it from free agency, would be Stephen Coniglio. At this point, Coniglio would have several better destinations available to him – heading home to either WA team, cross-town rivals Sydney, or if he were to go to Melbourne, I imagine Hawthorn have the salary cap space and can sell success better. I’d say it’d be line-ball as to whether the Saints could put forward a better offer too. Given that their high-end currency relies solely on Adelaide’s performance this year, are they in a position to really put together a package early on a “pre-agent” (a player scheduled to be up for free agency the year after)? Stephen Silvagni talked up the need to find a seasoned player/free agent at the end of last year’s trade period, which saw the failure to land Dylan Shiel despite a concerted effort from the club. What’s the game plan? Who’s the hunted?